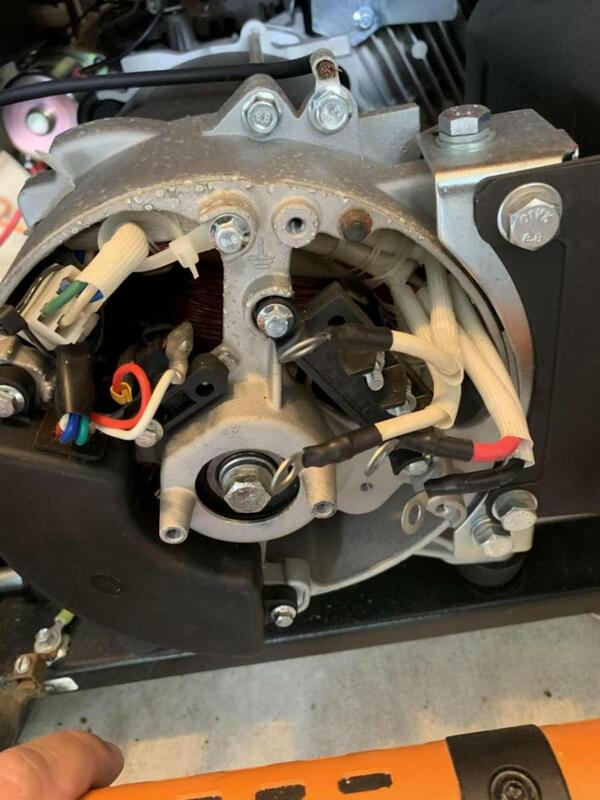 Power Equipment Forum : Power Equipment Forums > Power Equipment Forum > Generator Forum > Generac alternator wiring? Bought a Generac XT8000e from Lowe’s that was a return. 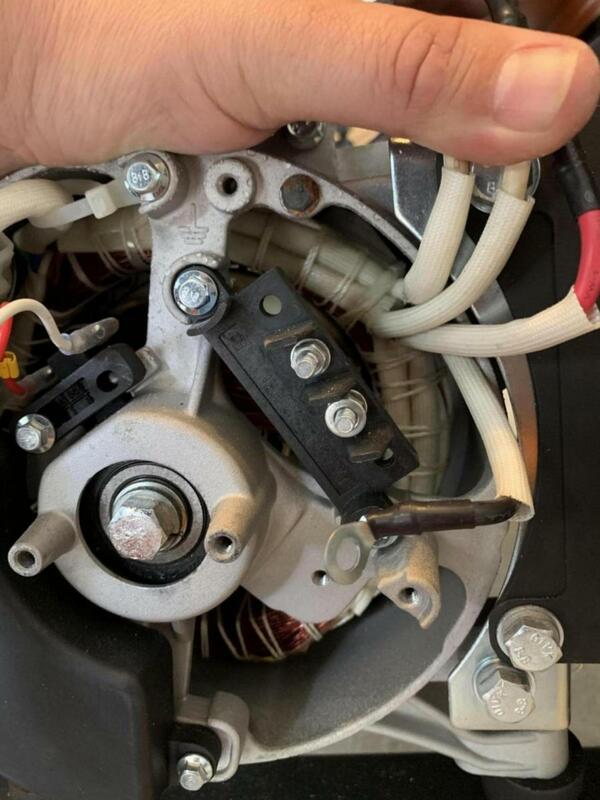 The wires going to the alternator were disconnected. Has 2 white a red and a black inside the cover and green/ yellow, white, red and black going into it from the control panel. Was seeing if anyone could help getting it wired back up. The link at the bottom of this appears to be a wiring diagram for it. Have you taken a look in that? Looking at the wiring diagram, I'm going to guess that the red and black go to the two lugs on the terminal strip and the two whites both go to the ground lug above the terminal strip (bonded neutral). The wiring to the panel should join up with the three of them there. When the generator is running, confirm 240V between red and black and 120V between them and the whites before hooking them up that way. Last edited by tabora; 04-14-2019 at 03:32 PM. In order to be able to post messages on the Power Equipment Forum : Power Equipment Forums forums, you must first register.